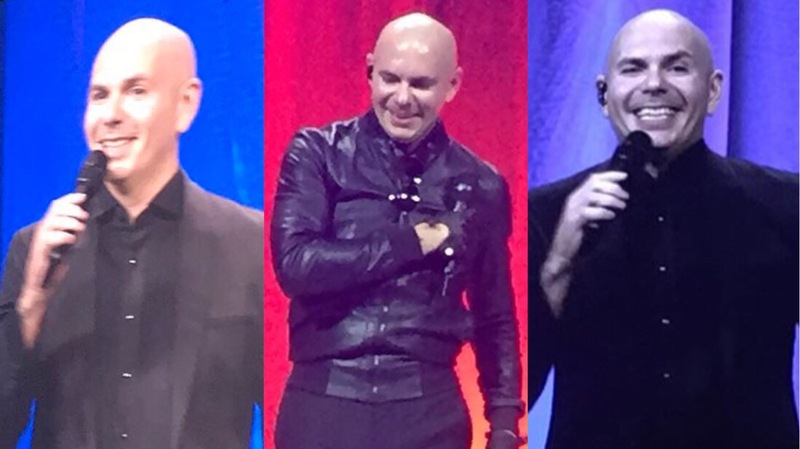 Pitbull spoke and performed at the Real Estate Wealth Expo at the Los Angeles Convention Center in LA today! After speaking, Mr. Worldwide brought The Most Bad Ones onstage to perform a short concert for the sold-out crowd. His set included, “Don’t Stop The Party”, “Timber”, and “Give Me Everything”.